Teacher In-Service Program The South African Experience September 2008 Nico Beute. 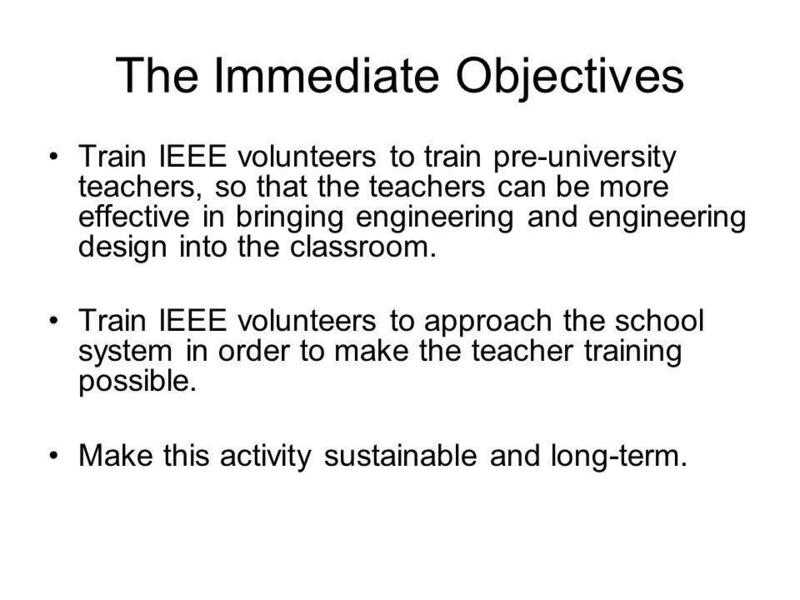 3 The Immediate Objectives Train IEEE volunteers to train pre-university teachers, so that the teachers can be more effective in bringing engineering and engineering design into the classroom. 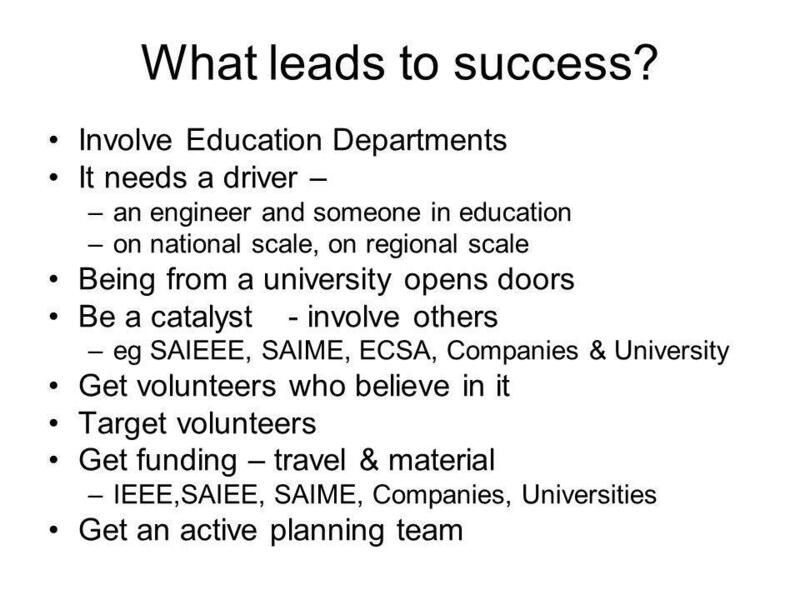 Train IEEE volunteers to approach the school system in order to make the teacher training possible. Make this activity sustainable and long-term. 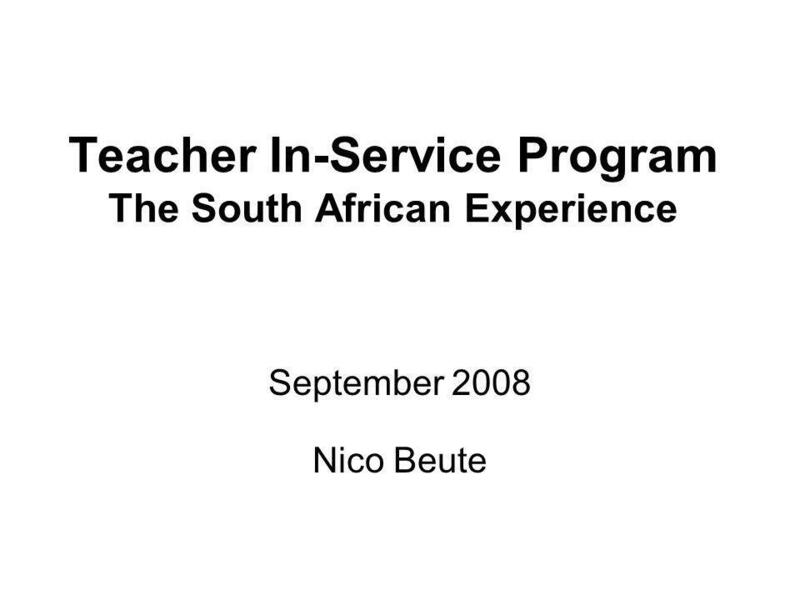 Download ppt "Teacher In-Service Program The South African Experience September 2008 Nico Beute." 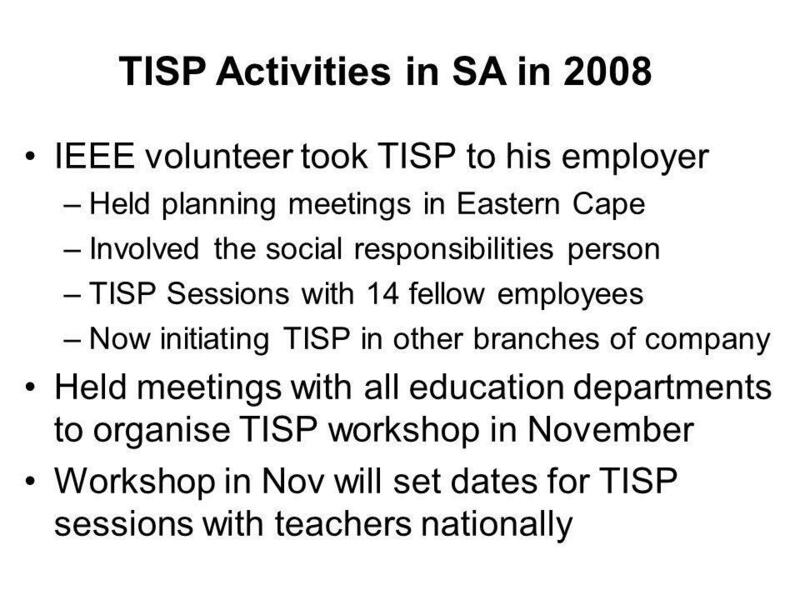 TISP in Stirling, Scotland March 2011 Nico Beute Cape Peninsula University of Technology IEEE South Africa Section The Impact of IEEEs Teacher In-Service. 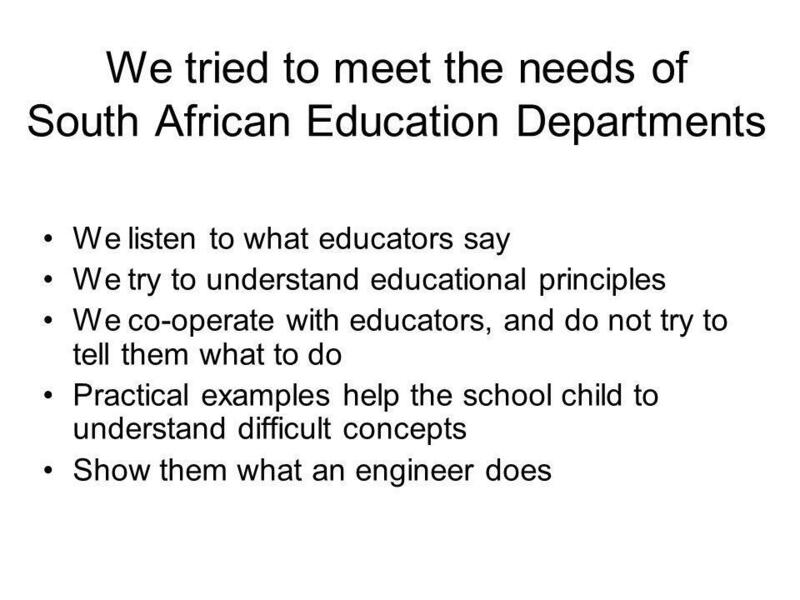 Get connected with Ohms Law Jan Randewijk WCED and Nico Beute IEEE & CPUT. Houston Section TISP History July 2007 – Dallas Workshop Houston Contingent – 5 members Early attempts Organizing/publicity Roadblocks Teachers Attitudes. 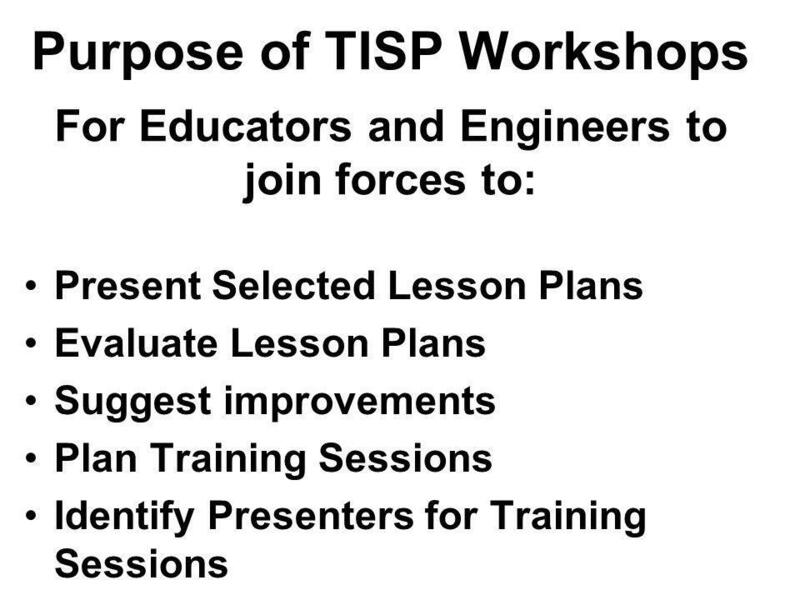 Title : Pre – University Students Venue : Westshore Hotel Tampa Date : 18 May – 20 May 2012 Presenter : Mr Jabu Hlakula, Technology Specialist Grade R.
IEEE Symposium on Pre- University Teacher Training Teacher In-Service Program (TISP) Tampa, 2012 Teacher In Service Program in Uruguay Summary of Workshops. Supporting Team-Based Learning Dr. Kathryn R. Ross, Indiana University Kokomo Team-Based Learning Conference 2007, Vancouver, Canada Copyright 2007 Kathryn. 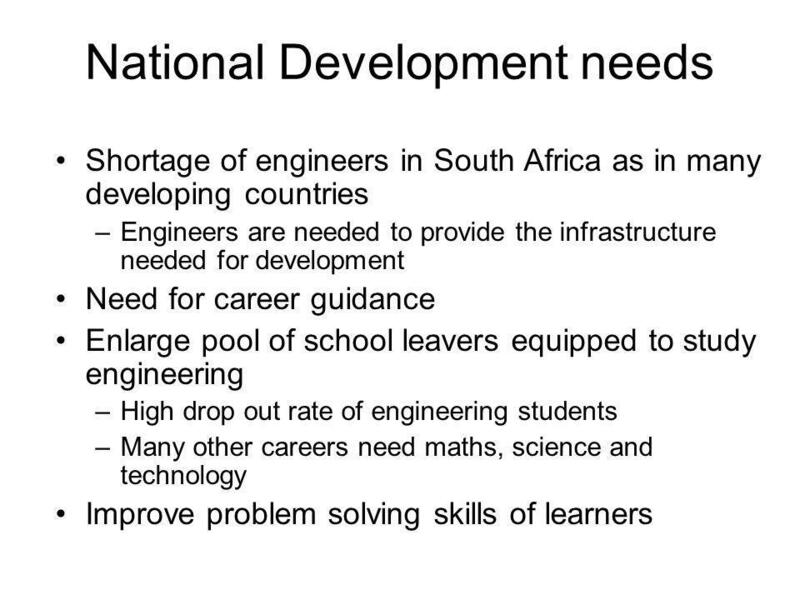 14-19 education and skills Diplomas and curriculum change Reforms. 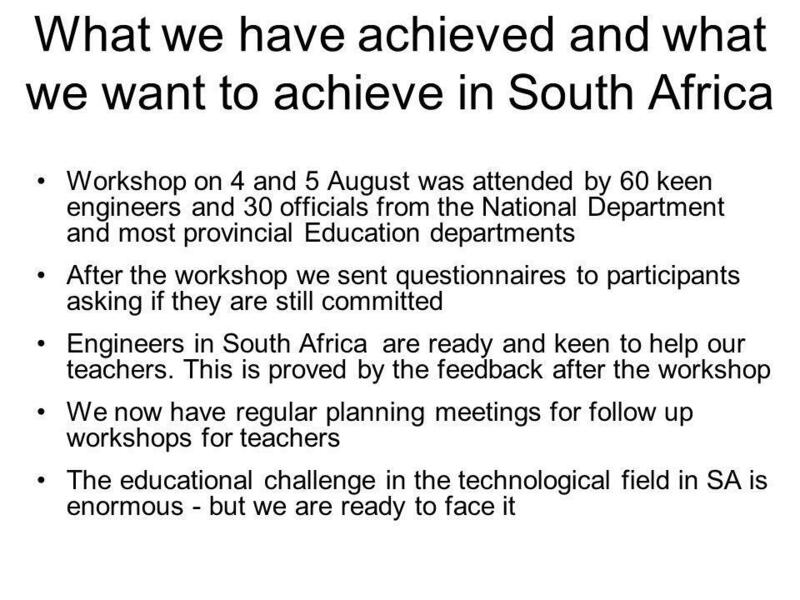 WACE Roundtable Discussions Feedback. 1. Employability Issues debated: Terms: employability vs. work-readiness Generation Y students, academics to keep. A Doorstep Sport Club provides a vibrant and varied sporting offer to young people in disadvantaged communities that is designed to grow their motivation. ATHLETICS. STRUCTURE OF ASA ASA consists of 17 provincial members and several associate members. ASA consists of 17 provincial members and several associate. NM ELD Standards l Education Secretary García states: ELD Standards developed by state taskforce of NM educators led by professional team from World Class. 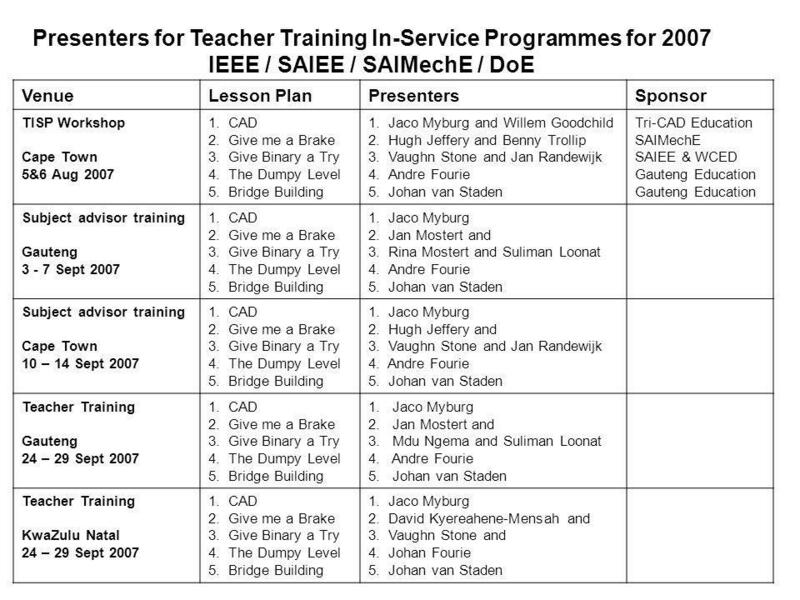 IEEE Teacher In- Service Program - How to Begin Yvonne Pelham Jan Mostert 25 September 2010 Lusaka, Zambia.